Click here to listen to our groups and parties radio spot. 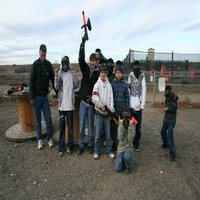 If you have a special event coming up – birthday parties, team building events, a bachelor party, a family event or even just a day out with the guys check out paintball parties. We have special packages to ensure your event is a memorable experience for all. 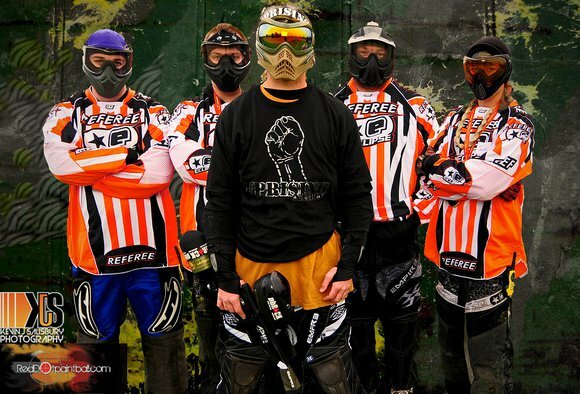 Whether you are a paintball pro or a first timer, we handle everything so you have the best possible game. BIRTHDAY PARTIES: Children, teens and adults will enjoy the strategy and skill involved in taking your friends down with a paintball gun. We’ll teach you what you need to know to get out there with your friends and have a blast. If you have smaller children 6 year olds and up, please be sure to look at the Low Impact Paintball Parties. These parties are very low impact using brand new 50 Cal Paintball guns. There is nothing like seeing a splat from a paintball breaking on your target. BACHELOR and BACHELORETTE PARTIES: What better way to celebrate your upcoming wedding than getting out there and shooting up your friends. The adrenaline and the fun will be at a high! It’s something you’ll always remember when you look back at your pre-wedding activities. TEAM BUILDING and CORPORATE PARTIES: Do you need a fun and exciting adventure to motivate your employees? Strategizing and planning are great skills to work on and your team will bond, all while having a great time. It’s not the traditional dreaded team building event and your staff will get more out of it because of that. GUYS/GALS DAY OUT: Looking for something new to do? Take your friends out and shoot ‘em up with paintballs. It’s a great way to have some fun and create memories that will last a lifetime. For more details, please call and we’ll explain the whole process to you. We make it really easy to get a group together for fun. School events, Church and Youth Groups, Bachelor and Bachelorette Parties, Corporate Team Building, Birthday Parties. This is the perfect package if you are trying to book a special event for your office, team, or even just for a bunch of friends. You can spend up to 3 hours on our fields, hiding, shooting, playing capture the flag, storm the castle and more! Take a break for lunch and or order in pizza. Rental grill available for cookouts. This Paintball Birthday Party lets you enjoy your special day with your children. Ages 10 and up can play. Leave the party planning to us. Your party starts with a Coordinator ready to make your party go smooth. Relax and let us do the work. 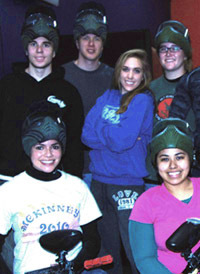 We provide the Paintball Experience for 10 or more people for a two hour party time. This party is ideally suited for as young as 10 and the beginner paintball players that will accompany them on their special day. The paintball experience is using full powered paintball guns. If low impact is desired, please look at our Low Impact Paintball Birthday Party. We start the kids out getting ready to play. Like in most video games the first half hour will be out on our new weapons training course. The players will work their way through a course designed to get them familiar with their equipment and shoot at targets, not people. Once their coordinator passes them they will receive their weapons upgrade status and move on to the paintball fields. Here they will begin to play against each other on our large scenario field where impacts are usually from longer distances. Then after completing their first couple of games they will move on to the WWI trench field or one of our other fields. After paintball, is finished it will be off to the party space for 45 minutes. The entire party is complete in 2 hours. Additional Time and Paintballs are $10.00/100.00 rounds per player which includes the coordinator. 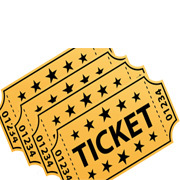 Price $350.00 + $35.00 per person over 10. This Low Impact Paintball Birthday Party lets you enjoy your special day with your children. Some fields have a minimum age of 10, but we just brought in some new equipment known as 50 caliber paintball guns that are much smaller to hold and the paintballs have about 1/3 the impact of regular paintball guns, so even kids 6, 7 , etc can enjoy a paintball party. Ages 6 and up can play with a maximum of 2 x 6 year olds per group. Leave the party planning to us. Your party starts with a Coordinator ready to make your party go smooth. Relax and let us do the work. 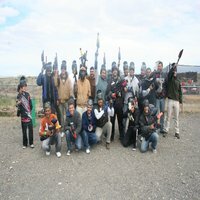 We provide the Paintball Experience for 10 or more people for a two hour party time. This party is ideally suited for as young as six and the beginner paintball players that will accompany them on their special day. The paintball experience is very light on impacts. We start the kids out getting ready to play. Like in most video games the first half hour will be out on our new weapons training course. The players will work their way through a course designed to get them familiar with their equipment and shoot at targets, not people. Once their coordinator passes them they will receive their weapons upgrade status and move on to the paintball fields. Here they will begin to play against each other on our large scenario field where impacts are usually from longer distances. Then after completing their first couple of games they will move on to the WWI trench field or one of our other fields. After paintball, is finished it will be off to the party space for 45 minutes. The entire party is complete in 2 hours.